Lana del Rey’s Vogue Italia feature. Just as we were all getting Lana del Fatigue, Vogue Italia goes and pulls of a stunning shoot with this year’s singing sensation. I’m not the biggest fan of del Rey but the feature is absolutely beautiful, I have severe hair envy. What do you think? 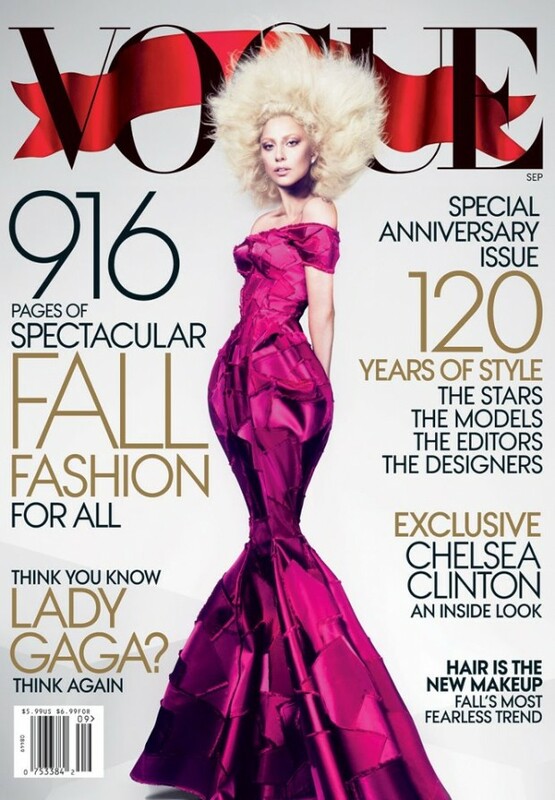 Here’s Lady Gaga’s long-awaited September cover for Vogue US. The cover was shot by Mert & Marcus and was styled by Grace Coddington – which is why it looks so immense. Dramatically different to most magazine covers, the shot is full length to make the most of that stunning Marc Jacobs number that Gaga is wearing. What do you think of her cover? Choupette is doing the rounds, isn’t she?! 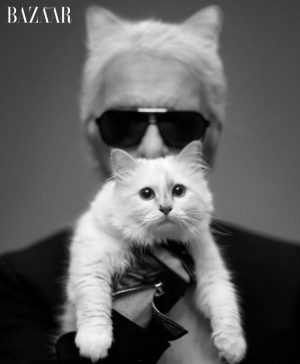 Hot on the heels of her iD editorial comes this adorable image of her with father/owner/icon Karl Lagerfeld. Adorable. Rest in peace, Anna Piaggi. 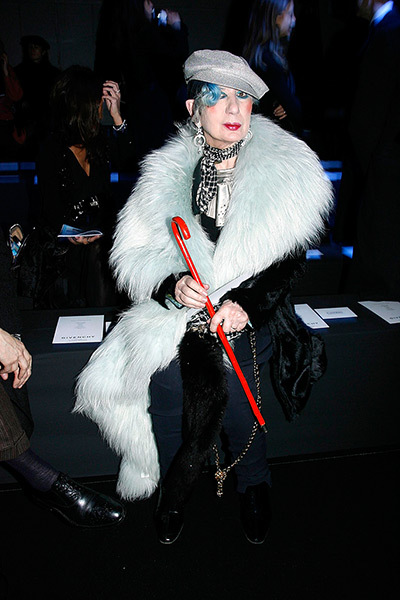 Italian fashion editor and style icon Anna Piaggi sadly passed away this week. Piaggi became a fashion journalist during the 1960s and went on to be a contributor at Vogue Italia among numerous titles. She also wrote a book on fashion and has served as a muse for countless designers. The fashion world has lost a true original. I'm not usually a big fan of either US Vogue or Lady Gaga. The US Vogue has become so formulaic, celebrity photoshopped on cover, check, Karlie Kloss doing her Zoolander Blue Steel – check and guaranteed Steven Meisel rehashing some old styles, check. Lady Gaga with her look at me, look at me, look at me… I'm so original… NOT. But this cover is amazing, love how they've incorporated the red ribbon, the styling is amazing and for once, Lady Gaga actually looks accessible. The only pat on the back I'm going to give is to Grace (the style goddess) Coddington.